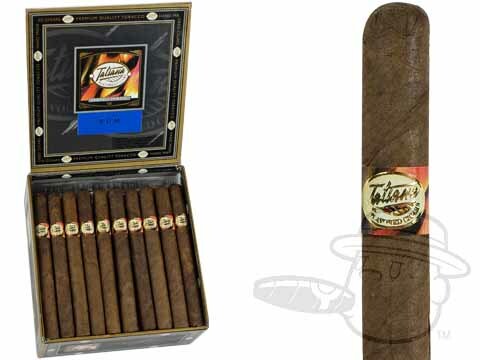 Tatiana Cigars are some of the leading flavored cigars in the world. Crafted from high quality Dominican tobacco and an Indonesian wrapper, every Tatiana cigar is expertly finished with premium quality flavors. The end result is a smooth cigar which will delight your senses and fill the room with a wonderful aroma. Tatiana Rum was blended to capture the subtleties of a fine rum with notes of sweet molasses and island spice with a warm, velvety finish. Tatiana Dolce Rum carries the essence of the islands through a traditional 5x30 Petite Corona vitola. Tatiana Dolce Rum is rated 4 out of 5 based on 1 customer ratings.